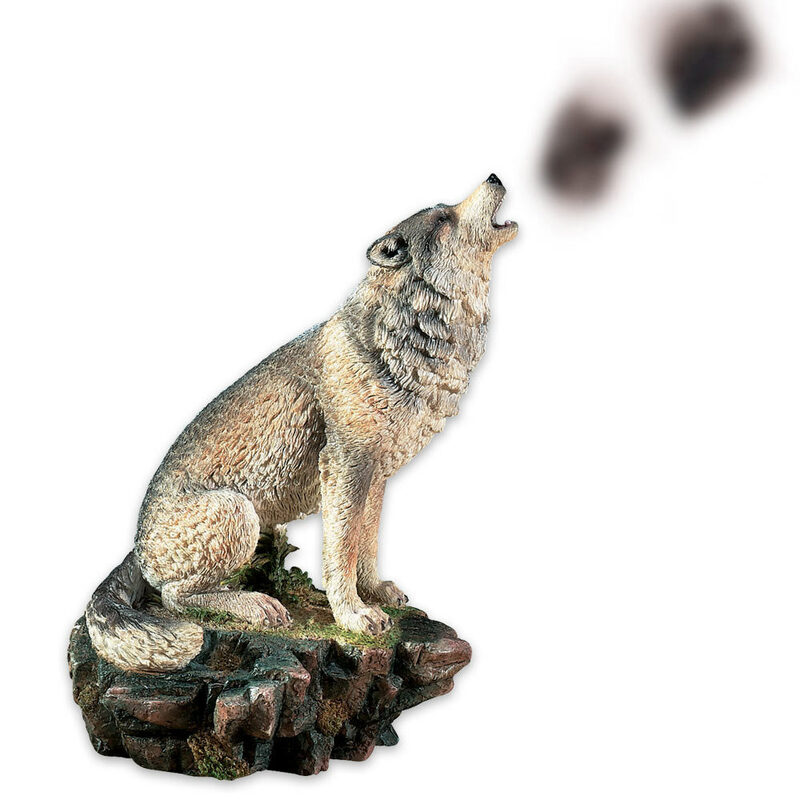 Howling Wolf Incense Burner | BUDK.com - Knives & Swords At The Lowest Prices! New smoking hot incense burner! Constructed from cast poly resin and hand painted to reflect a wolf howling in the smoky night. This burner came in a great gift box. Looks great and works even better. My wife loved it and uses it all the time.